Paris-based Chinese-owned luxury goods group SMCP has this morning confirmed that it plans to list on the French stock exchange, Euronext Paris. SMCP has now formally filed the appropriate registration papers (document de base) with the AMF (autorité des marchés financiers). SMCP said at the time of publication of its 2016 results on 21 June that it was considering such a move, leveraging off 'strong dynamics'. These include almost doubling total sales in three years and a 22% increase in profits in 2016. Free cash flow in 2017 was €78.7m, up from €52.1m in 2015. The listing has the backing of strategic majority shareholder Shandong Ruyi Technology Group, which has stated it intends to maintain a controlling shareholdering with around a 51% stake. 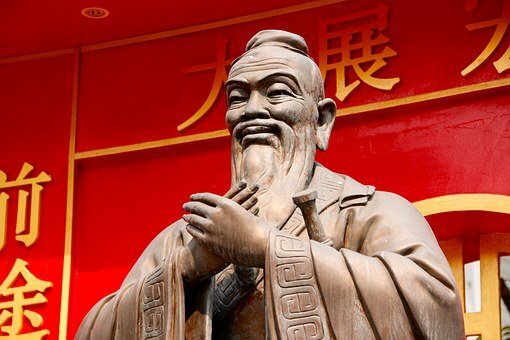 Headquartered in Jining, Shandong, the home town of Chinese philosophers Confucius and the lesser known Mencius, Shandong Ruyi is one of China's largest textile manufacturers. KKR, the US private equity house which almost single-handedly made private equity a household name, is another investor and a specialist supplier. Precise details of its involvement and transactions are impossible to summarise here but are set out at great length in the document de base. SMCP SAS is indirectly owned by KKR Retail Partner Midco SARL (KKR) through its wholly owned subsidiary Soho Holding France, which holds 69.75% of SMCP SAS shares. KKR SARL is a Luxembourg-based privately-held company (société à responsabilité limitée). The near impenetrable 547-page document de base contains a blizzard of detail. It describes SMCP as a fast-growing international apparel and accessories retail group. Its products are sold through a network of points of sale and websites under three brands: Sandro, Maje and Claudie Pierlot. The Group’s product range is composed of on-trend and high-quality womenswear, menswear and accessories, offered at more attractive prices compared to luxury brands. The target audience is mainly aged between 15 and 45 years old. Inspired by fast fashion, the Group has established a short, reactive design-to-production cycle, with a continuous renewal of the products offered during the season and a proven retail model that can easily be rolled out internationally. The Financial Times coverage states that Bank of America Merrill Lynch, JP Morgan and KKR Capital Markets are leading the flotation but no mention of them is to be found in the document de base. Auditors include KPMG (statutory auditor), Salustro Reydal (alternate statutory auditor) and Ernst & Young et autres. Patrick Young, CEO Exchange Invest and author of the EI 1000 report The World’s Most Influential People in Market Structure, says: "On the headline numbers SMCP looks like a fairly tough sell at an attractive IPO price barely a year after it was bought from KKR by Shandong Ruyi. “Its position between High Street and more upmarket makes a 'luxe' multiple difficult to justify while investors may be concerned with how heavily leveraged the company remains. However Euronext will be cheered that the brand is looking to list in Paris which helps cement their brand as a leading bourse for fashion stocks."